We ask all supporters of ABC to visit the following friends..
bullyingnoway.gov.au – Bullying. No Way! is managed by the Safe and Supportive School Communities (SSSC) Working Group. The SSSC includes education representatives from the Commonwealth and all states and territories, as well as national Catholic and independent schooling representatives. Members work together to create learning environments where every student and school community member is safe, supported, respected and valued. angelsgoal.org.au – is to mentor, educate and inspire all children and young adults with the necessary life-long skills and courage to take action against becoming the victim of bullying in their schools, sporting clubs, workplaces and the broader community. youthbeyondblue.com – beyondblue is working to reduce the impact of depression and anxiety in the community by raising awareness and understanding, empowering people to seek help, and supporting recovery, management and resilience. ncab.org.au – The National Centre Against Bullying (NCAB) is a peak body working to advise and inform the Australian community on the issue of childhood bullying and the creation of safe schools and communities, including the issue of cybersafety. takeastandtogether.gov.au – This site provides information and helpful ideas about bullying. bullying.com.au – Evelyn Field is a psychologist, professional speaker, best selling author and regular media commentator who has spent over forty years dealing with bullying. kidshelpline.com.au – Kids Helpline is Australia’s only free, private and confidential 24/7 phone 1800 55 1800 and online counselling service for young people aged 5 to 25.
esafety.gov.au – The Office of the eSafety Commissioner is committed to empowering all Australians to have safer, more positive experiences online. antibullyingcrusador.wordpress.com – AntiBullyingCrusador mission is to educate people in the United States about “work place bullying and mobbing.” I live in the United States where the phenomena of “work place bullying and mobbing” is little known, which is surprising, since it affects 70% of working Americans at some time in their career. bullyingstatistics.org – Statistics show bullying is becoming a huge problem. The purpose of this website is to help educate the public on bullying issues; such as school bullying, workplace bullies, bullying teachers, adult bullies, and more. Our goal is to help teens, families, schools, and communites get the education and help they need to prevent being bullied. This site offers information on seeking therapy or treatment for those who are bullying others, or are victims of bullies. By learning about the causes of bullying each of us can help prevent this type of abuse we can help our communities be safer. nobullying.com – is an online forum aimed at educating, advising, counselling and all importantly, helping to stop bullying, in particular, cyber bullying. 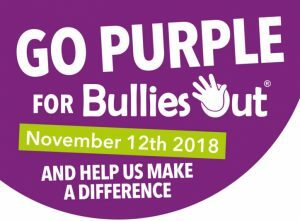 bulliesout.com – one of the UK’s most dedicated and ambitious anti-bullying charities.